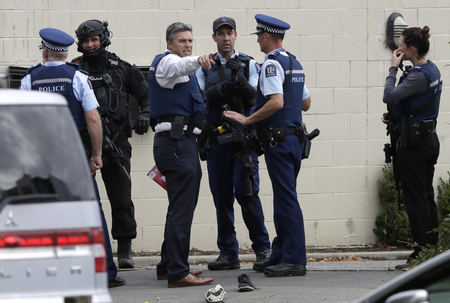 The gruesome terrorist attack on innocent worshipers in Christchurch of all places – presumably among the safest places on earth – shall not go down in history as an isolated criminal offence by some detached individuals. The imagination of a diverse gathering of New Zealand citizens and immigrants gathered in a prayer hall sprayed upon bullets from behind can shiver any sane person. It sends across the feeling of fear all over the world, leaving the population to feel absolutely frightened everywhere, every time. It is a moment for grief for all, terrorism has no boundaries. It is utterly heartbreaking to think how a human thinks of conceiving such an inhuman task – regardless of the motives. There should be no illusions, this was a brazen act of terrorism. It is in such situations that humanity should emerge supreme above the divisions we have created among us worldwide. The loss of nearly 50 innocent lives – who had gathered simply to collectively seek blessings and forgiveness in their own humble way from their God – once again proves the preachers of hatred, the fanatics of all hues, apparently opposed to each other, succeeded over the forces of peace and equality. Without any prejudices over labelling of the massacre in New Zealand as shooting, a terrorist attack or gun violence, humanity needs to condemn it with one voice. It is the deliberate confusions created by chaotic minds by justifying such blatant inhuman acts with debates related to migration, Islamophobia and racism. Another lesson that needs to be learned from this tragedy is that the world needs to unitedly fight indiscriminately against the menace of terrorism of all sorts. Making a case for gender equality and empowerment helps grow economies, foster development and remains our best bet at a sustainably inclusive future. "I have been put in a cage for six years. But instead of making me weak, the cage made me so strong," says Abdul Aziz Muhamat, Manus Island detainee.